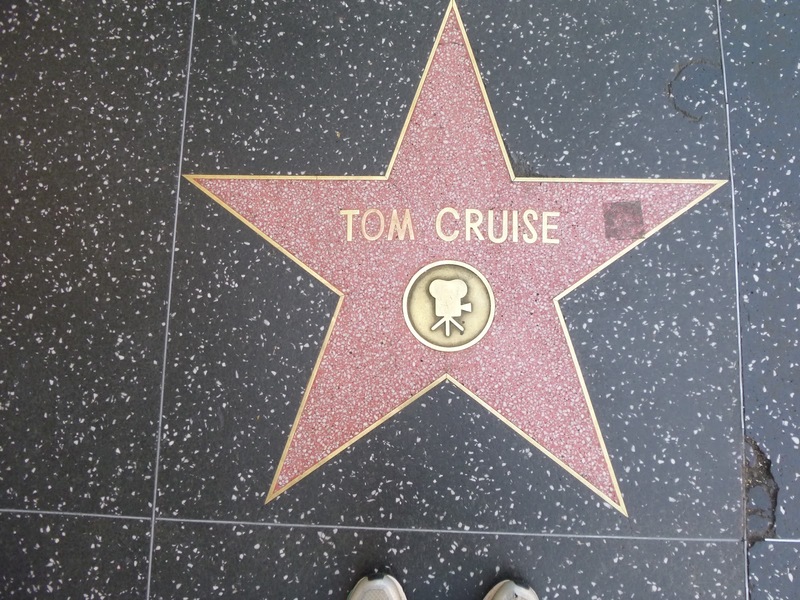 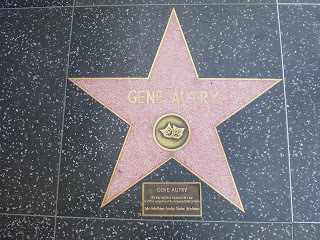 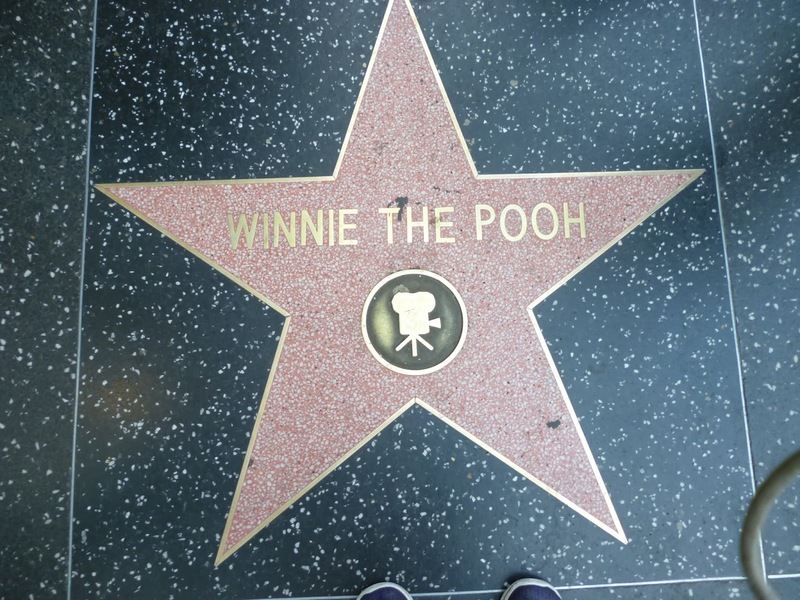 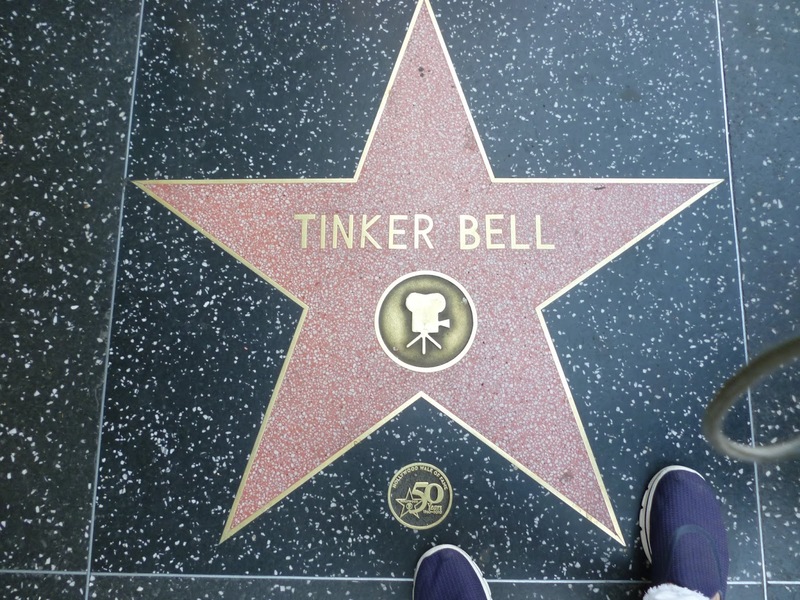 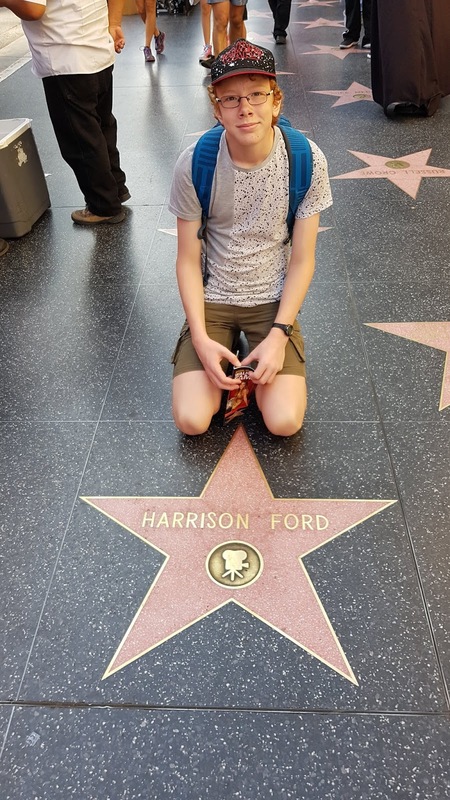 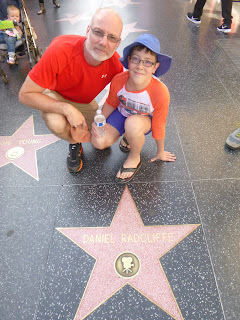 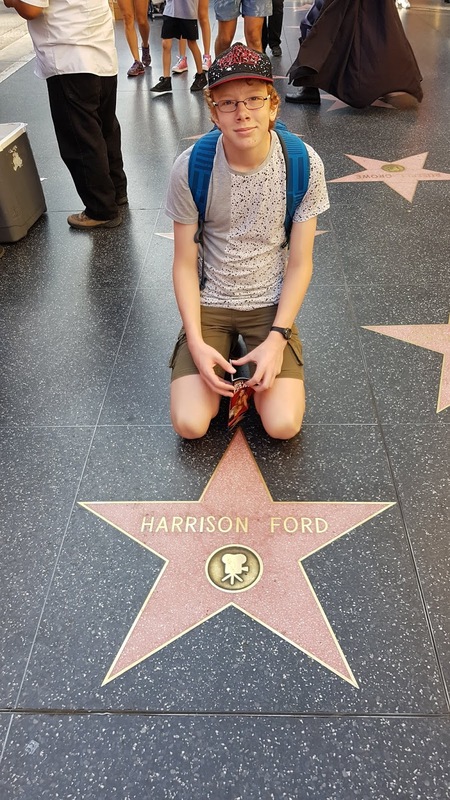 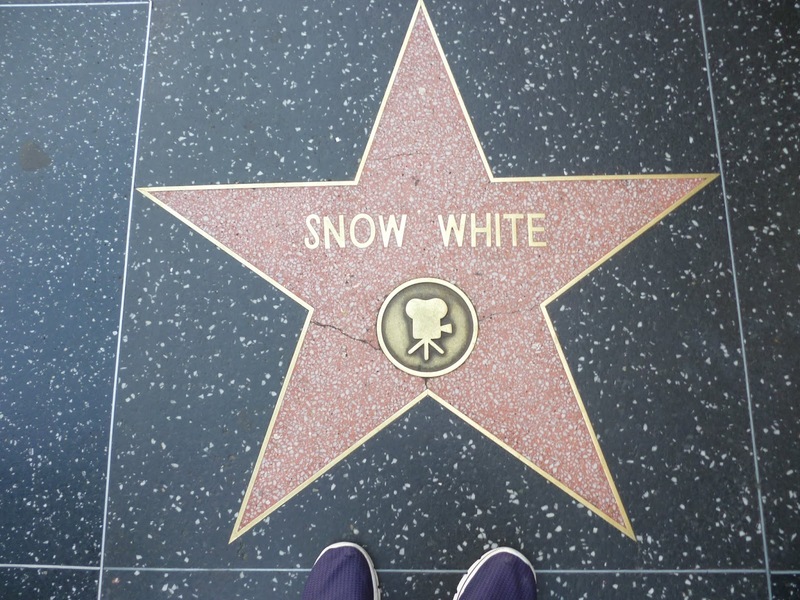 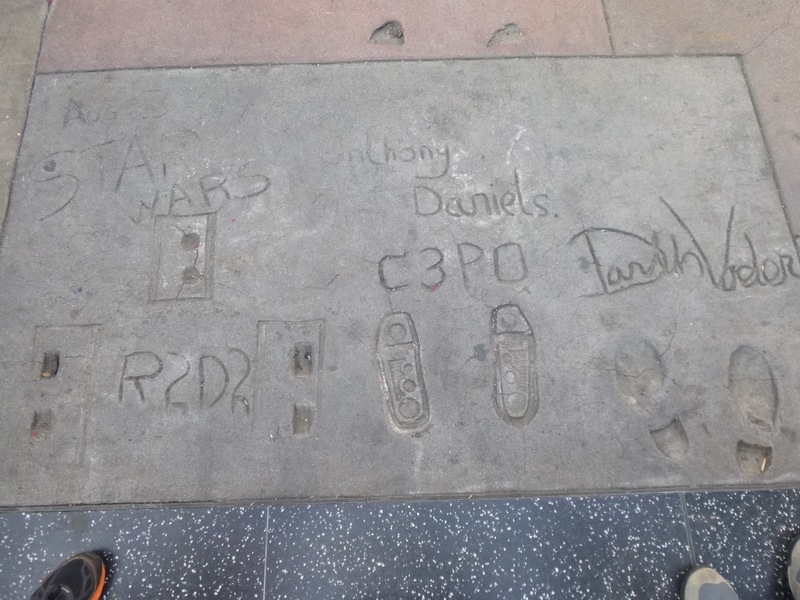 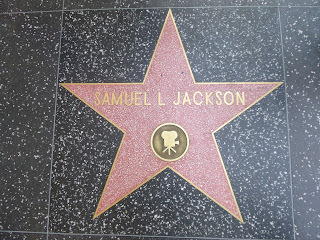 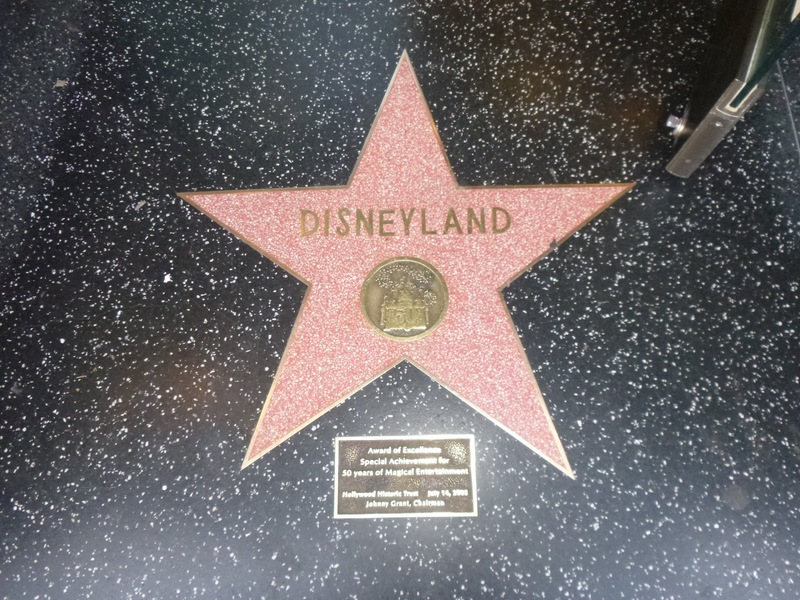 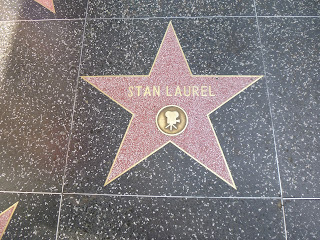 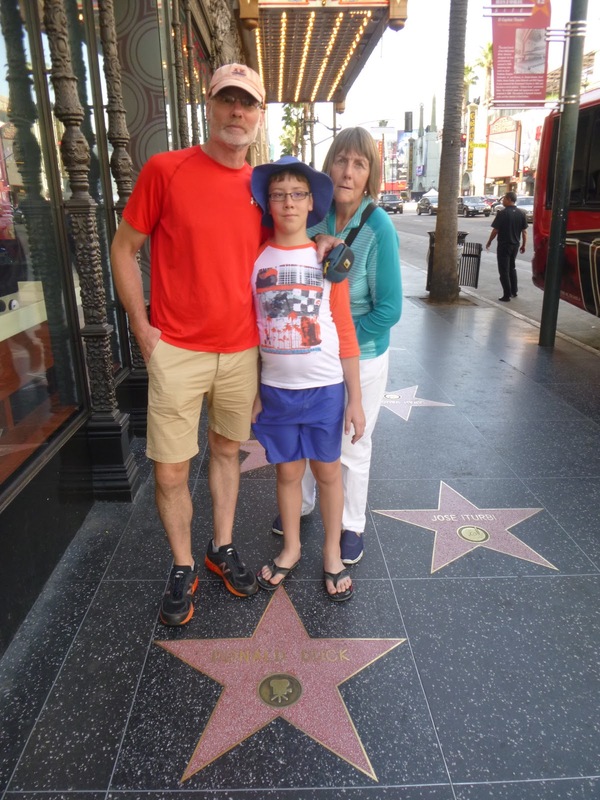 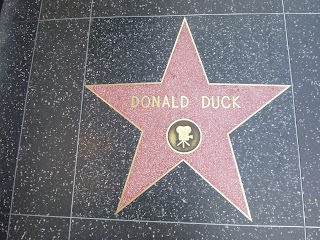 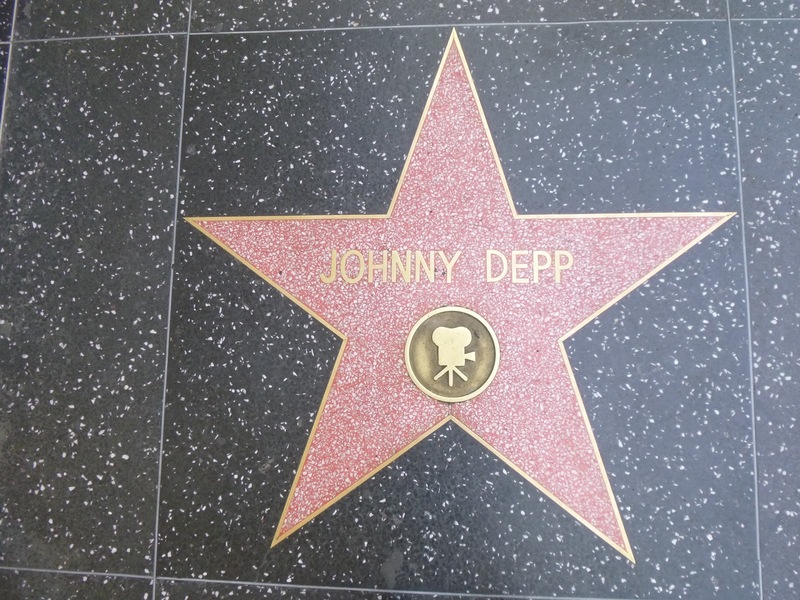 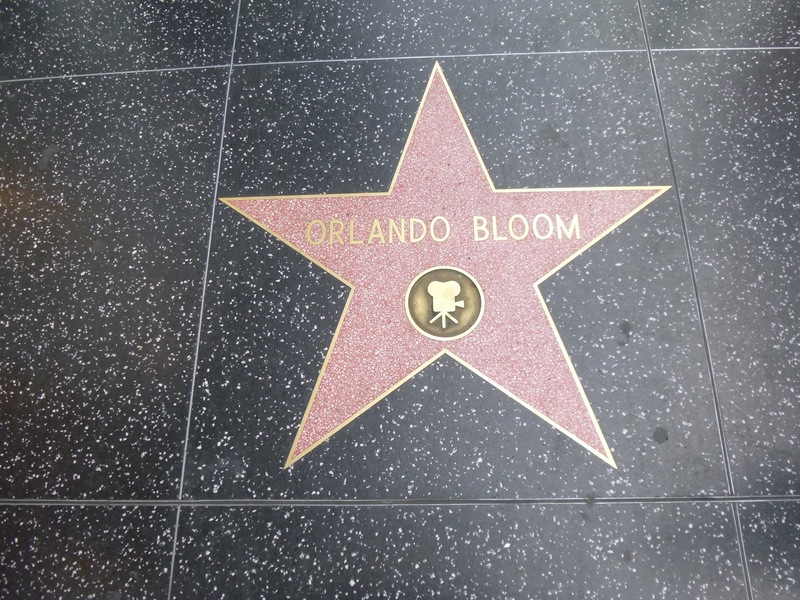 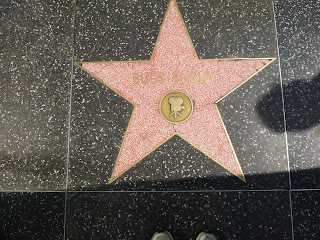 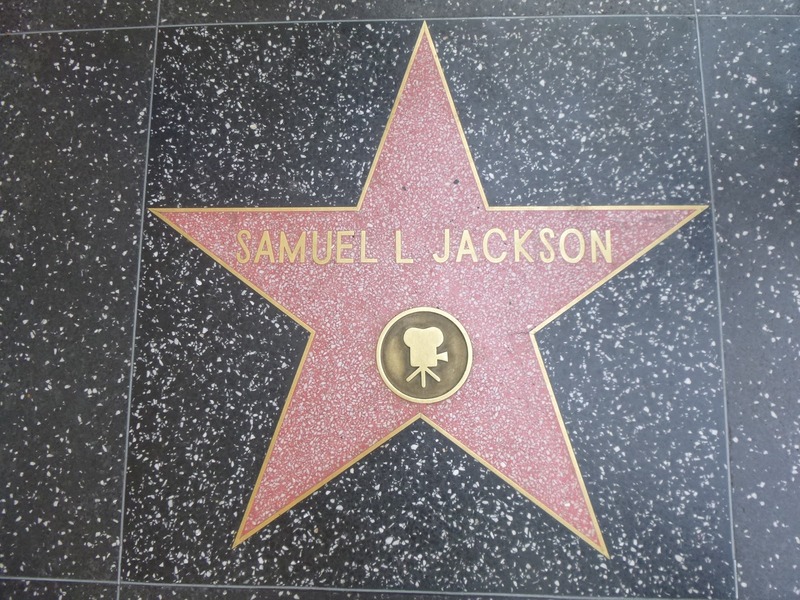 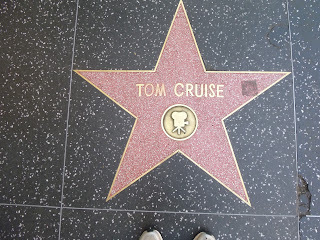 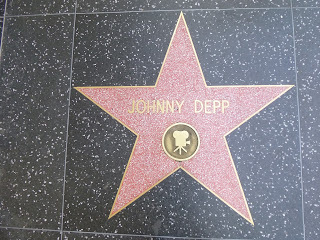 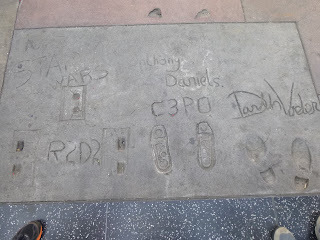 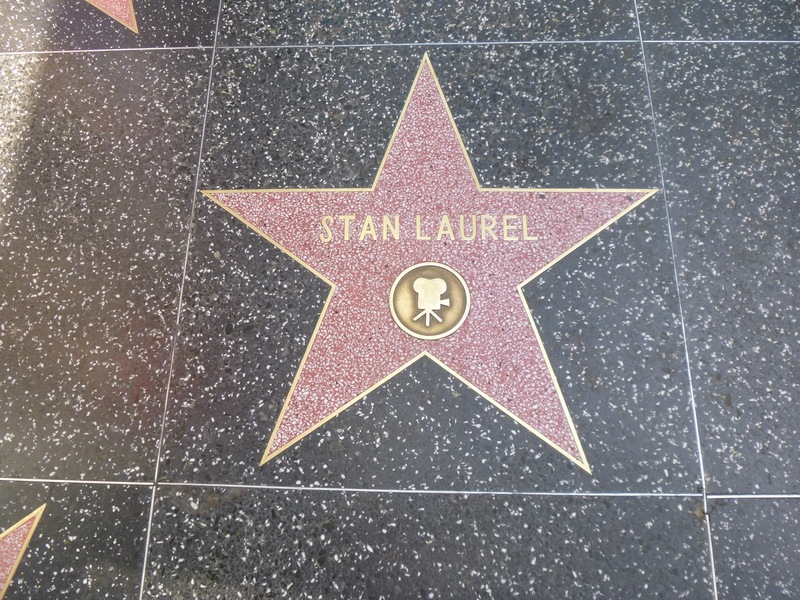 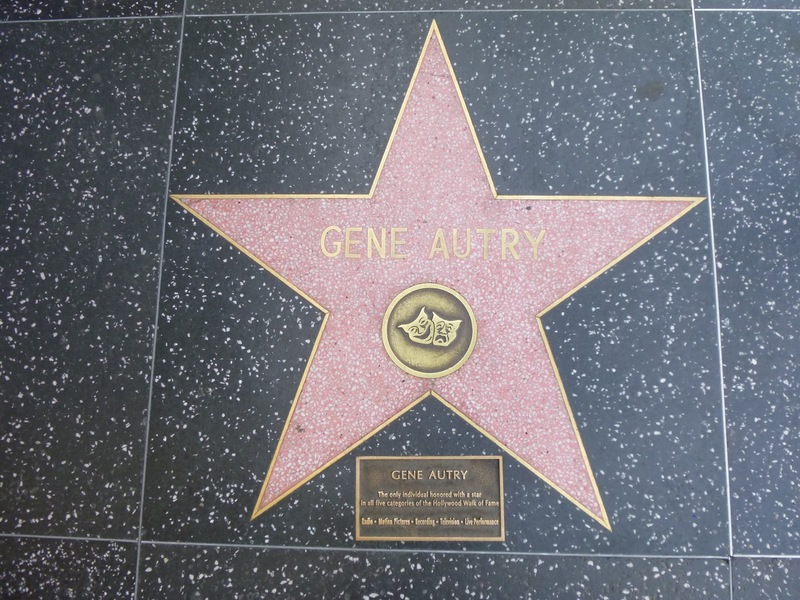 First we went to see the Hollywood Walk of Fame, and saw several famous stars including Daniel Radcliffe (who plays Harry Potter), Tinkerbell, Snow White, Winnie the Pooh, Bugs Bunny, Orlando Bloom, Disneyland, Donald Duck, Tom Cruise, Gene Autry, Samuel L Jackson and Johnny Depp. 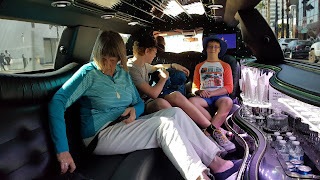 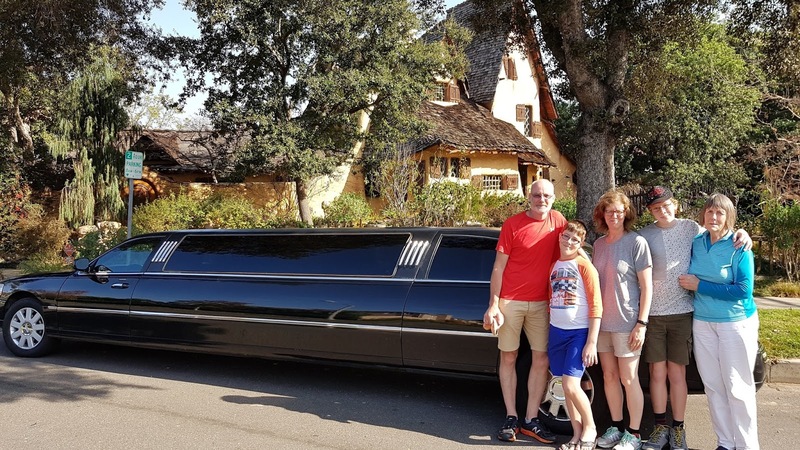 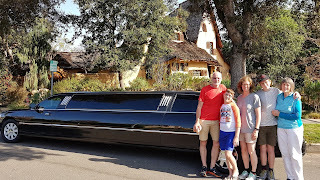 We got dragged into doing a limousine tour, though the price was high, the trip was good. 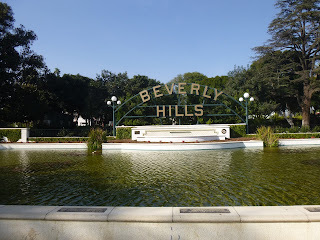 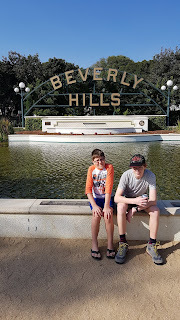 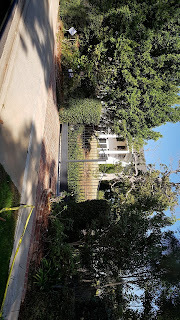 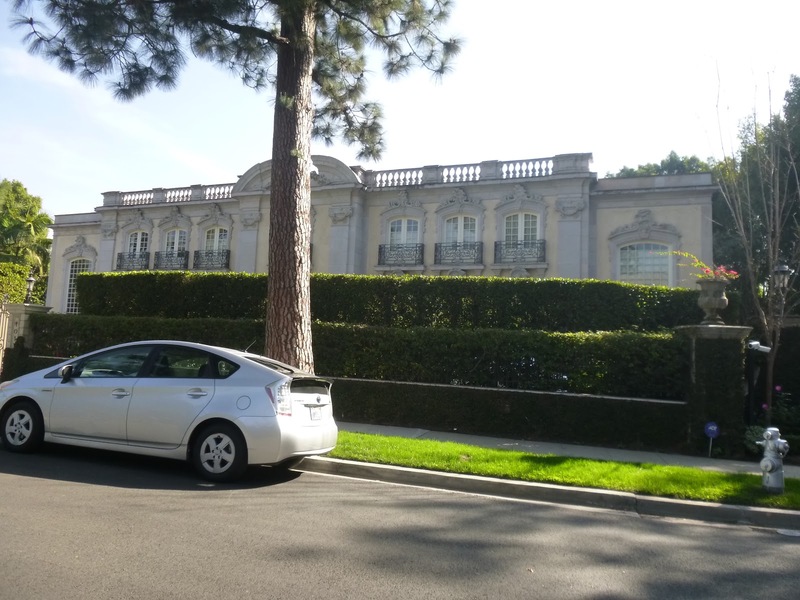 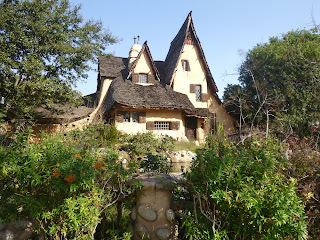 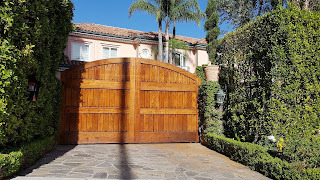 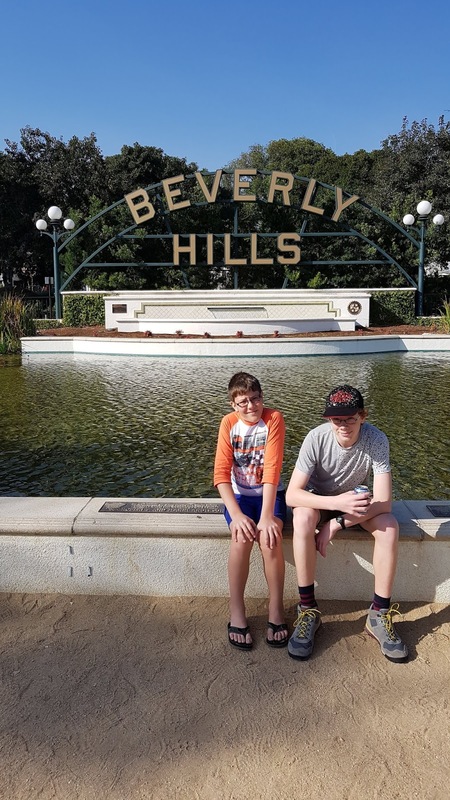 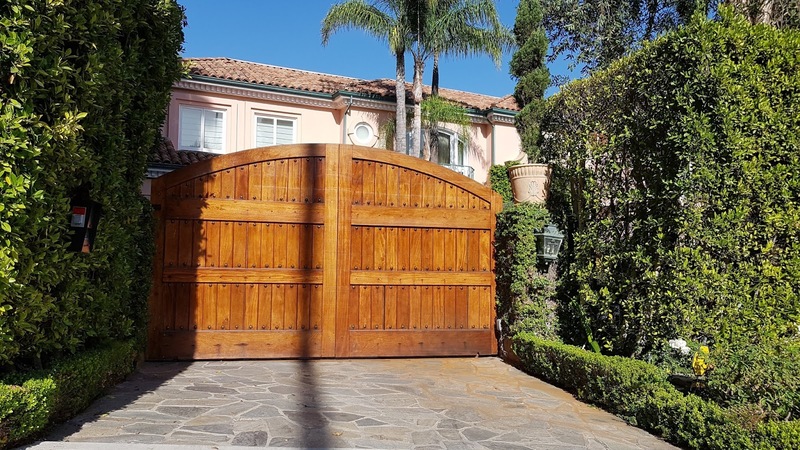 We went and saw some millionaire's houses through Beverly Hills, including the house where Micheal Jackson died, George Clooney's house and others. 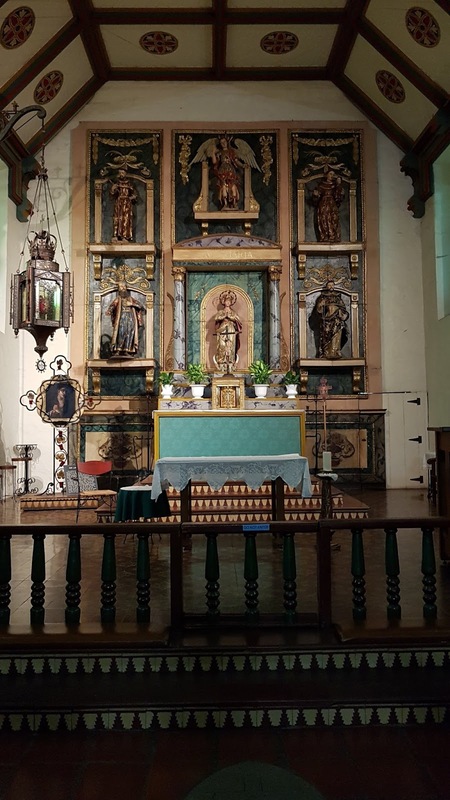 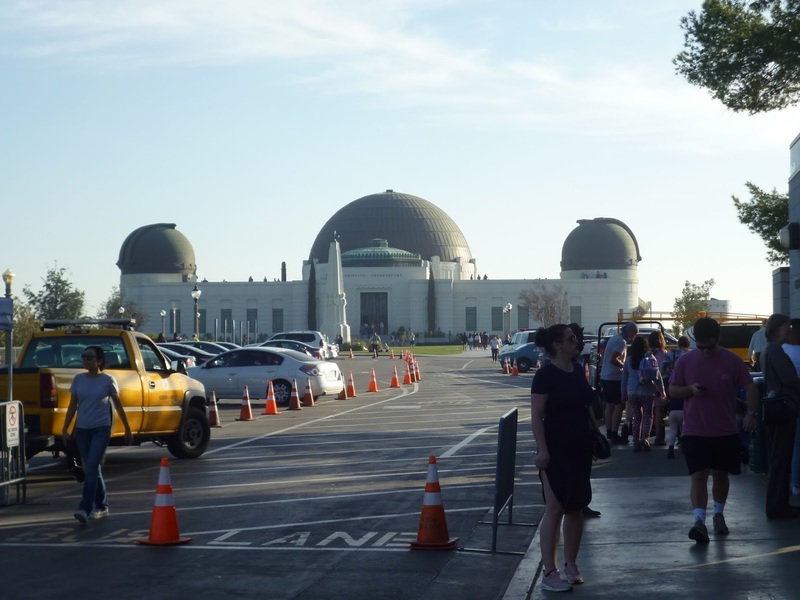 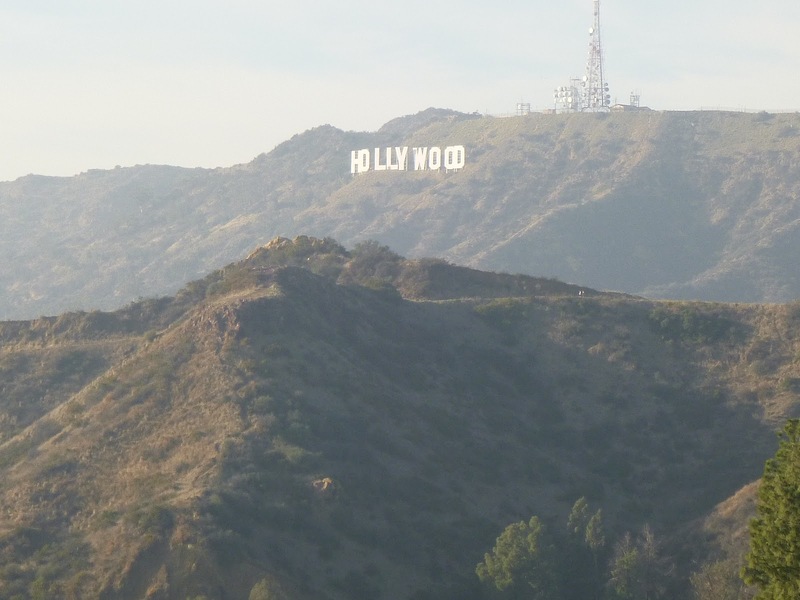 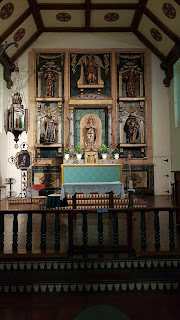 After the limo trip, we went to the Griffith's observatory, seeing the holly wood sign, before going to have a look at the outside of the San Gabriel, one of the missions. 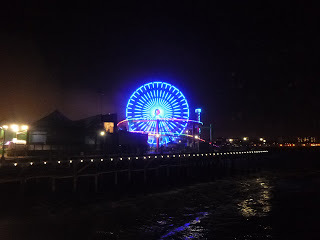 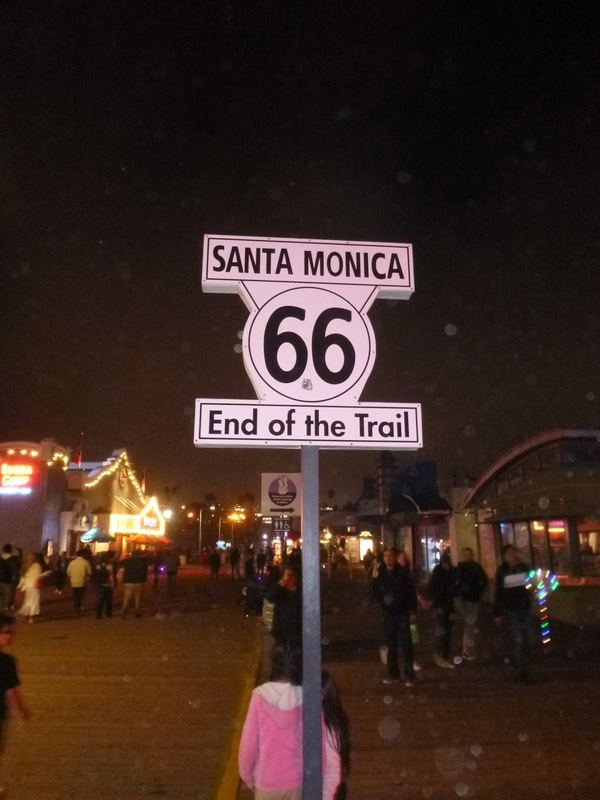 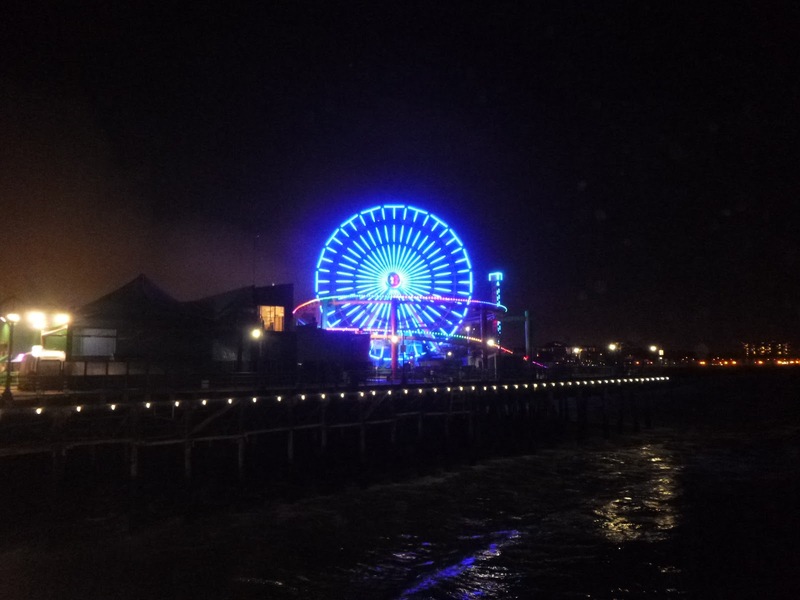 We decided to go out to Santa Monica for dinner, looked at the Santa Monica pier, had tacos for dinner and went back to the apartment. Wow! 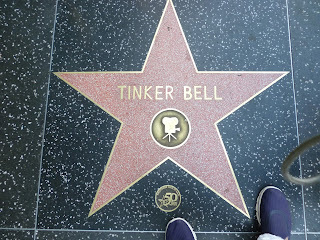 Robin!! 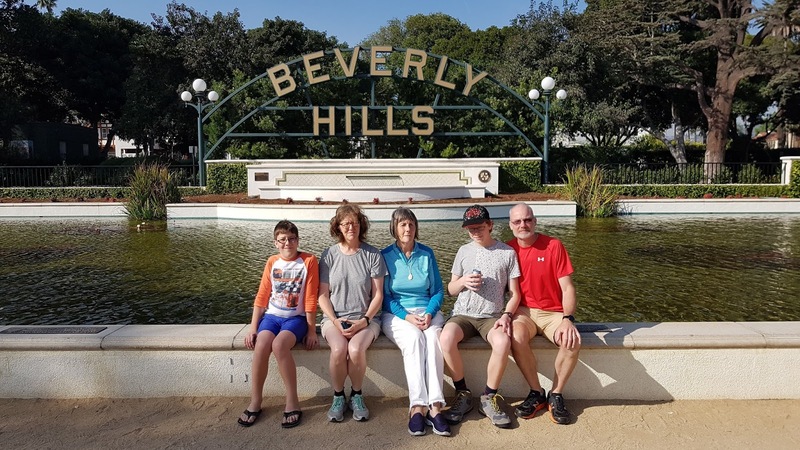 Awesome family time!